The latest design cold food showcase for keeping food chilled. 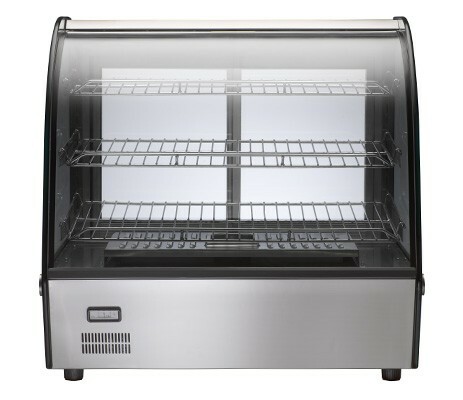 Used to display cold food and maintain serving temperature. European Café style design – Italian Zoppas Element with high efficiency heating system. Mechanical thermometer for clear temperature indication. Manual humidifier to help keep food fresher longer. Full width removable crumb tray.